To envisage the future of psychoanalysis and psychoanalytic psychotherapy in Great Britain first requires a look at the past history of psychoanalysis since its inception in this country in the second decade of the twentieth century. Ernest Jones founded the London Psycho-Analytical Society, consisting of nine members, in 1913 but it disbanded in 1919 because of a drift to Jung amongst some of its members. In 1919 he re-founded the British Psycho-Analytical Society, to be affiliated with the International Psycho-Analytical Association (IPA). Histories of the psychoanalytic movement in the United Kingdom can be found in the writings of Glover (1966), Kohon (1985), Rayner (1990). For the most part (with the exception of Pines), these mostly deal with the British Psycho-Analytical Society, its development and dissensions, culminating in the (in)famous controversial discussions (King and Steiner 1990) when the disputes between the sympathisers and supporters of Melanie Klein and those of Anna Freud, mediated by the third force which was not committed to either of these viewpoints, led to a compromise solution over training. The break-up of the Psycho-Analytical Society was avoided and the three groups devised joint and separate training programmes within the same institution. This ‘gentleman’s agreement’ (sic) has proved viable. The Psycho-Analytical Society continued to grow and, in many ways, the disputes between the three groups are now less sharp. These three groups are now known as the Contemporary Freudian Group, the Independent Group and the Kleinian Group. Anna Freud largely withdrew from activity within the Psycho-Analytical Society and gave her attention to child analysis, founding the Hampstead Child Psychotherapy Clinic, now the Anna Freud Centre (Young-Bruehl 1989). The centre became renowned, not only for its training of child analysts but also as a centre for psychoanalytical research. Anna Freud and her colleagues, amongst them Dorothy Burlingham, Joseph Sandler, Moses and Eglee Laufer, Clifford Yorke, latterly George Moran and Peter Fonagy, published systematic research on child development and child analysis. Anna Freud’s concept of developmental lines in child development was supported by the evidence provided by the Hampstead Index pioneered by Sandler, which led to the Hampstead Child Development Profile. (Some of this work was later adapted to an adult profile.) The division between Anna Freud’s work at Hampstead and the work of the Freudian Group in the Psycho-Analytical Society came to an end after her death. The group was renamed the Contemporary Freudian Group to evidence its relevance to contemporary psychoanalysis and to the work of the group being representative of the mainstream of psychoanalysis internationally. Though fairly small in numbers, the group includes many notable figures—the fact that two members of this group, Joseph Sandler (Past President of the IP A) and Peter Fonagy, have held the Chair of Psychoanalysis at University College of London demonstrates this. Fonagy is now the full-time Professor and has initiated a comprehensive programme of research at PhD level. Under the leadership of Joseph and Anne Marie Sandler a distinctively modern psychoanalysis is being elaborated. The Sandlers take a scholarly look at psychoanalytic concepts, for instance projective identification and transference, and attempt to bring order and coherency into these areas. This involves a revision of some of Klein and her followers’ excessive use of the concept of projective identification. Under the leadership of the Sandlers and Fonagy the psychoanalytic approach of the Contemporary Freudian Group seems to have moved away from the ‘one person psychology’ as outlined by Rickman and sees the development of mind in an interpersonal and intersubjective mode. Important work on psychoanalysis in adolescence has been done by analysts working at the Brent Consultation Centre under the able leadership of Moses and Eglee Laufer. Another member of the Contemporary Freudian Group, Thomas Freeman (1987), has written extensively about the psychodynamic aspects of psychosis. He is one of the few psychoanalysts in Great Britain who practised full time as a psychiatrist in mental hospitals. His pioneer efforts have remained isolated, though Murray Jackson, a member of the Kleinian Group, has done significant work on the acute psychoses (see below). Freeman, together with Yorke and Wiseberg, has produced a book on psychodynamic psychopathology (1989). The present day Independent Group is the successor of the so called middle group of the Psycho-Analytical Society. Before the arrival of Anna Freud, which led to the polarization within the society, there had been a significant British or English School of Psychoanalysis which differed from Vienna and Berlin and, together with Budapest, were the most significant centres of psychoanalytic work and training. British psychoanalysis, under the leadership of Ernest Jones and, considerably influenced by Melanie Klein, had begun to explore the pre-oedipal aspects of child development and psychopathology. But even before the arrival of Melanie Klein there was a growing interest in child analysis in London, and her work further stimulated this. The interest in child development was carried further by John Bowlby and Donald Winnicott, both child psychiatrists, and, in the case of Winnicott, an experienced paediatrician. The work of this middle group was also considerably influenced by the radical revision of psychoanalysis proposed by Ronald Fairbairn, working in isolation in Edinburgh. Fairbairn firmly insisted on an ‘object related psychology’ as opposed to a drive related psychology which then was still the principal focus of the Viennese School. To this must be added the influence of Ian Suttie, who was not a psychoanalyst but a psychiatrist and psychotherapist working at the pre-war Tavistock Clinic. His book, The Origins of Love and Hate (1936, reissued 1988) emphasized the importance of the early mother-infant relationship in the context of family and culture. One can see in both his work and that of Bowlby an awareness of the importance of the family and of society in the genesis of both health and illness. To this already strong British School of Psychoanalysis was added the influence of the Hungarian School through the arrival of Michael and Alice Balint in the 1930s. Balint, a very strong character, had a considerable influence on the work of the Independent Group and of the Psycho-Analytical Society as a whole, of which he became President. His work was notable for the exploration of early infantile development in which he contested the then fashionable notion of primary narcissism. Later, together with his wife Enid, he became famous for his pioneering work in the teaching of psychodynamic principles to general practitioners. The Balint Group Movement which grew out of his work has had international appreciation. Balint also pioneered research into short-term focal psychotherapy which was later described by David Malan, and was one of the sources of stimulation for T.F. Main’s work on psychosexuality. Michael and Enid Balint pioneered marital work at the Tavistock Clinic with the Family Discussion Bureau. The Tavistock has developed an extensive and intensive marital therapy service. Influenced by the work of Fairbairn, Winnicott and Balint, as outlined by Rayner (1990), it is object relational in essence. It differs from the Kleinian Group in not restricting concepts of personality development to the earliest years, with the greatest concentration on the pre-oedipal phases and the Kleinian depressive and paranoid-schizoid positions. There is an increasing interest in seeking some correspondence between the self psychological approach of Kohut and the Chicago School and the Independent Group. Contemporary publications from the Independent Group include those of Christopher Bollas, Patrick Casement, Eric Rayner and Harold Stewart. Melanie Klein came to London in 1926 at the invitation of Ernest Jones and through the mediation of James and Alix Strachey (Grosskurth 1986). Having a background in both the Budapest and the Berlin Schools, and particularly influenced by Abraham’s work, she quickly established herself as an important figure. She was welcomed as a pioneer and her revisions of Freud’s stages of psychosexual development into the paranoid-schizoid and depressive positions was very widely accepted. However, her forceful personality and forceful criticisms of analysts who did not share her views led to considerable polarization within the society and to an over-concentration on these disputes. In this way the British Society, to some considerable extent, lost contact with developments in psychoanalysis internationally, particularly in the United States where the School of Ego Psychology developed. Melanie Klein’s chief supporters included Joan Riviere and Susan Isaacs, able controvertialists both of them. This group has been very active in the post-war years, both under the leadership of Melanie Klein herself and, subsequently, from the work of Bion, Rosenfeld, Segal, Joseph and, latterly, Britton, Steiner and Hinshelwood. The Kleinian training is sought after as it seems to offer an inclusive and apparently definitive framework to psychopathology. There was little significant work to be found outside of London. London contained both the British Psycho-Analytical Society and the Jungian Society of Analytical psychology (see below). However, there were two London centres for psychoanalytic psychotherapy which were both founded immediately after the 1914-1918 war. These were the Tavistock Clinic and the Cassel Hospital. The Tavistock, founded by Hugh Crichton Miller, has always been an out-patient service (Dicks 1970). It was adopted by the National Health Service at its inception in 1948. Before this it was a voluntary organization, eclectic in outlook and isolated from the Psycho-Analytical Society, as Ernest Jones would not allow trainees or qualified analysts to work there as he feared for the dilution of psychoanalysis. But through the work of the Tavistock Clinic, psychoanalytic psychotherapy was available to a much larger number of persons than could be involved directly in psychoanalysis and knowledge of psychodynamics was also propagated by the Tavistock. John Bowlby began his work there and, as already mentioned above, Ian Suttie’s book had a considerable influence. The Cassel Hospital was founded for the in-patient treatment of the post-traumatic neuroses of the First World War. Under its director, T.A. Ross, whose annual reports represented a careful research into in-patient psychotherapy, it became well known. Some psychoanalysts worked there either during or after their training and, post-1945, under the brilliant directorship of T.F. Main (1989), the Cassel became a centre of excellence for the in-patient treatment of psychoneurosis. Under Main the Cassel Hospital pioneered the in-patient therapy of mothers with small children, taking in women who had experienced post-natal depression and other early problems of mothering. Later, this was extended to therapy for the whole family on an in-patient basis. In summary, we can say that psychoanalysis in Great Britain prior to the Second World War and to the inception of the National Health Service in 1948 was the history of a small, though influential, group. Part of this influence was exercised through the International Journal of Psycho-Analysis, which, though international in title, was entirely British in ownership and editorial policy. Ernest Jones was an indefatigable worker within international psychoanalysis and undoubtedly sought to further the influence of British psychoanalysis in the international sphere. Thus he made plans for the translation of Freud into the well-known Standard Edition which Riccardo Steiner has described as part of an effort to exercise an English hegemony in the world of psychoanalysis. Awareness of the limitations of the Strachey translation, grand in concept and excellent in execution as it is, has led to plans for a revision in its next edition. Psychoanalysis had a certain degree of influence over general psychiatry through the work of such persons as Bernard Hart, W. H. B. Stoddart, David Eder and Professor George Robertson, the first Professor of Psychiatry at the University of Edinburgh, who declared himself a Freudian. The meeting ground for psychoanalysts and other psychiatrists and psychotherapists was in the Medical Section of the British Psychological Society, which played an important role in both pre- and post-war psychodynamic psychiatry. The achievements of British psychiatry in World War Two are well known. A small group of psychoanalytically-trained psychiatrists together with a large number of enthusiastic trainees, exercised a large influence over selection procedures and treatment and rehabilitation programmes (Dicks 1970; Pines 1991; Ahrenfeldt 1968). A vision of a psychodynamic psychiatry that could take society and its ills as legitimate focus for practice was developed during these years. This came about through a recognition of the enormous social and group forces during these war-time years and successful development of methods of group work. The pioneer work of Bion, Sutherland and Foulkes belongs to these years. A large number of psychiatrists who had been exposed to psychoanalytic influences during the war returned to train as psychoanalysts. These included Bion and Sutherland, amongst many others. The Tavistock Clinic underwent a palace revolution (Pines 1991; Trist 1992; Dicks 1970) which meant that it became a centre for psychoanalytic psychotherapy as well as a centre for research into social issues, later to become the separate, though closely affiliated, Institute of Human Relations (Miller 1993; Trist and Murray 1990, 1993). Foulkes soon was appointed to the Maudsley Hospital, the teaching hospital of the University of London, and there developed a significant school of Group Analysis. The well-known Henderson Hospital, under the direction of Maxwell Jones, was not particularly psychoanalytic in its orientation. The British National Health Service came into existence in 1948. Both the Tavistock Clinic and the Cassel Hospital became parts of the National Health Service and a steady supply of psychodynamically or psychoanalytically trained consultant psychiatrists received their education there. These years saw a considerable expansion in the psychiatric services throughout the country and the establishment of many new university departments of psychiatry. Though largely organic in orientation, a gradual recognition that there was a need for more psychotherapeutic services and the training of psychotherapists came about and some of the university departments began to appoint psychotherapists, though very few analysts could be persuaded to leave London to work in the provinces. 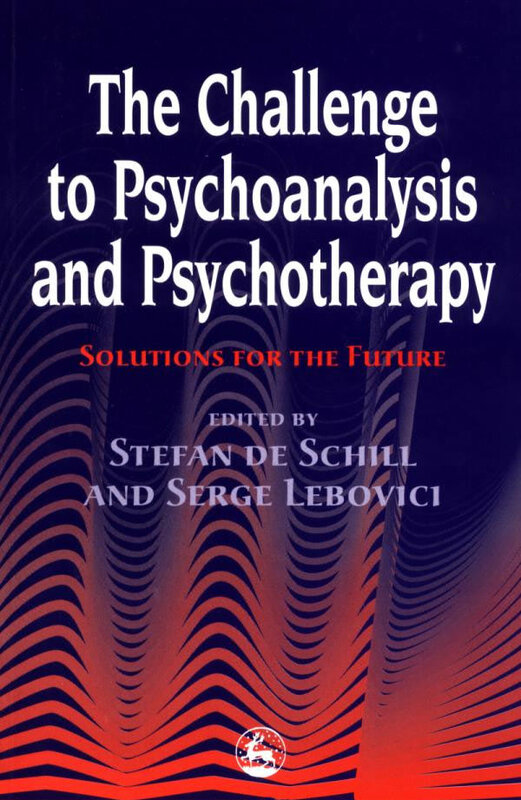 Psychoanalytic psychiatrists played an influential role in the design of training programmes for future consultants in psychiatry and psychotherapy through their involvement in the committees of the Royal College of Psychiatrists: An influential committee composed of representatives of the universities and of the College of Psychiatrists (the Joint Committee on Higher Psychiatric Training) had the responsibility for evolving training programmes in all parts of the country. Thus, gradually over the next 20 to 30 years, training programmes were developed in all regions of the British Isles, which meant that psychotherapeutic services became available outside the main metropolitan areas. These trainings are considerably influenced by psychoanalytic psychodynamics, though in some areas the influence of cognitive psychology and of group psychology is very strong. Development of these university services and specialized National Health Service posts have led to an increase in the amount of research that has been published. The British Society of Psycho-Analysis remains the principal training centre and adheres to the classical programme of five-times-a-week analysis over several years. In the perspective of psychoanalytic trainings within the IPA the British system has continued to demand, and to supply, very high standards of students and teachers. Though clearly divided into the three groups, there is greater flexibility and exchange between them in the course of training—for example by joint clinical seminars involving teachers from the different groups working together. This is a source of training for a considerable number of analytic psychotherapists. Its principal founder and leader over many years, Michael Fordham, has recently published his autobiography. The society has produced a valuable series of books, the Library of Analytical Psychology. There are now a considerable number of training organizations which centre themselves on psychoanalytic psychotherapy. They include the British Association of Psychotherapists, London Centre for Psychotherapy, the Lincoln Centre for Psychotherapy and the Guild of Psychotherapists. The work of R.D. Laing, which represented a mixture of existential psychotherapy and psychoanalysis, led to the foundation of the Philadelphia Organization and, a later development, the Arbours Association, which now has its own training programme. The Arbours Association has also pioneered a therapeutic community approach to psychosis. This is now represented by the Regents College School of Psychotherapy and Counselling, which developed from the American Antioch University. Centered on Regents College in London, it has an extensive programme in counselling and psychotherapy which leads to both MAs and PhDs which are validated by the City University of the University of London. The principal centre has been Edinburgh, with the Scottish Institute of Human Relations founded mdash; and for many years led by—J.D. Sutherland (Scharff 1994). Sutherland, an analysand of Ronald Fairbairn and the principal exponent of his work, was director of the Tavistock Clinic for many years. On his return to his native Scotland he greatly stimulated and strengthened psychoanalytic psychotherapy there and a training agreement has been established between Edinburgh and the Institute of Psycho-analysis of London that is in the course of implementation. There are also possibilities that this work will extend to Northern Ireland. In recent years training programmes in psychoanalytic psychotherapy have been established in major cities such as Birmingham and Bristol. London-trained analysts are sought to help in these schemes. There is a strong Institute of Group Analysis in London. This was founded by S. H. Foulkes, an analyst trained in Vienna, and his co-workers, several of whom are members of the British Psycho-Analytical Society. It has been in existence for over 21 years (Brown and Zinkin 1993). It has an important qualifying programme in group analysis which consists of a four- or five-year training which involves personal group psychotherapy on the basis of twice a week. Through the work of this Institute psychodynamic group work has a considerable presence in the National Health Service and in the Social Services. The journal Group Analysis has a wide circulation both in Britain and abroad and the Institute of Group Analysis has sponsored and carried out training programmes in Denmark and Norway which have led to the establishment of autonomous institutes in those countries. In collaboration with an organization entitled Group Analysis North it is now possible to get a group analytic training in Manchester of a comparable level to that obtainable in London. It is also possible to get an introductory type of training in many other different parts of the country, including the Republic of Ireland. Psychoanalysis had a very limited representation in university life until comparatively recently. J. C. Flugel was Assistant Professor of Psychology at University College London and, until her early death, Cicely de Moncheaux was an influential teacher and researcher there, but it was not until the establishment through the Astor Foundation of a Freud Memorial Professorship, at first part-time, that psychoanalysis began to have a stronger presence in the University of London. A distinguished series of part-time professors included William Gillespie, Hanna Segal, Roy Schafer, Janine Chasseguet Smirgel, John Klauber and Joseph Sandler. This went on to the full-time Chair of Psychoanalysis and the establishment of the Psychoanalysis Unit. Recently, Peter Fonagy has succeeded to this chair and is developing a very active programme of research and training and it is now possible to do PhDs in psychoanalysis at this unit. But there are many more university developments which are focused on psychoanalysis. These began at the University of Kent under Martin Stanton, where an MA in psychoanalytic studies was established. There is now a network of organizations, THERIP, which include psychoanalysis as part of higher education programmes and which aims to be a resource network of teachers and students in higher education who are working in the area of psychoanalytic studies. It publishes an annual register and a newsletter and organizes public lectures with the aim of supporting the development of academic programmes dealing with psychoanalysis and establishing a network of international contacts. The degree offered is usually an MA in psychoanalytic studies and does not represent a clinical training. The fields of literature, art, film and theatre are part of these higher education programmes. The work of the Lacanian School is strongly represented in many of these programmes, though it has had little influence in the Psychoanalytical Society itself. So far, there is only one university chair in psychotherapy—the Department of Psychology at the University of Warwick (Professor Digby Tantam). This department works in close collaboration with the National Health Service in establishing trainings and research programmes. The International Journal of Psychoanalysis and, until recently, The International Review of Psychoanalysis (now amalgamated with The International Journal), have been the principal psychoanalytic journals published in Britain. The International Journal, as its name betokens, publishes work from all over the world and, therefore, a number of more local journals have been established over the years. The British Journal of Medical Psychology is long established from pre-War days but is less an outlet for psychoanalytic and psychodynamic articles than before. The British Journal of Psychotherapy, founded by R. D. Hinshelwood, fulfils this more local need. Another journal, Psychoanalytic Psychotherapy, was founded to represent the interests of psychoanalytic psychotherapists working in the National Health Service. It was established in 1986 and is part of the activities of this association, founded to represent and to strengthen the position of psychoanalytic psychotherapy in the National Health Service. The journal Free Associations is a significant journal that represents a psychoanalytic approach to culture and to society. Britain has been an active centre for the publication of psychoanalytic books since the 1920s, when, encouraged by Ernest Jones, Leonard and Virginia Woolf started to produce books at the Hogarth Press. The International Library of Psychoanalysis, which sponsored Strachey’s Standard Edition of Freud’s Works, has now become the New Library of Psychoanalysis and produces a steady stream of both new and original work from Great Britain and translations of significant work from other countries. A new source of psychoanalytic literature comes from Karnac Books, which now both commissions new work as well as reprinting important psychoanalytic works which have fallen out of print. Free Association Books is also active in this area, as are many other academic presses. Bion, Rosenfeld and Segal explored the psychoanalysis of severe states of disturbance. They felt that Melanie Klein’s concepts of projective identification splitting and the developmental positions of the paranoid-schizoid position and depressive position gave access to very disturbed minds. Though it is difficult to point to any reliable evidence of therapeutic success in these areas, undoubtedly they have helped us to understand psychotic and borderline states of mind. Bion took us beyond Melanie Klein’s concept of projective identification by evoking the idea of the maternal reverie and response which helps to contain the infant’s primitive affects and projections and return them in modified and manageable forms. Thus he introduced a more acceptable vision of early infant development where the maternal role, and that of the father, is more active and responsible. Rosenfeld worked steadily in these difficult areas and, towards the end of his life, in his last book, Impasse and Interpretation (1987), acknowledged that the interpersonal influence between therapist and patient was of crucial importance and that the therapist’s personality and capacity to acknowledge his own errors would have a significant influence upon the patient’s experience. For this he has been criticized by a number of members of the Kleinian School. The present-day attitudes of many of the Kleinian workers are well represented in the book Oedipus Complex Today edited by Britton, Feldman and O’Shaughnessy (1989). Founded, amongst others, by Edward Glover as the Institute for the Scientific Treatment of Delinquency, the Portman Clinic, now closely linked with the Tavistock Clinic, is outstanding, possibly unique, for its psychoanalytically oriented treatment facilities for patients presenting with forms of sexual deviation and severe personality disorders. Psychoanalysts and group analysts provide both individual and group analytic therapies. Forensic psychotherapy is a new form of specialisation psychodynamic psychotherapy and the new International Society for Forensic Psychotherapy, founded by Dr Estela Welldon, has its origins in work at the Portman Clinic. London is renowned as a centre for child analysis. Qualified adult analysts are able to take child analytic training at the London Institute of Psycho-Analysis. The Anna Freud Centre, an independent institution which receives international financial support, has a significant programme of training and research. There is a course (one year full-time study) in Psychoanalytic Development Psychology leading to a Masters degree (MSc) of London University. The other main centre for training is the Tavistock Clinic, where the Kleinian influence is strong. The British Association of Psychotherapists also has a training in child analysis and child analytical psychology. The work of Frances Tustin (1972) is renowned for her researches into autism. She has been considerably influenced by the work of Klein but has developed an original viewpoint. Recently, Peter Hobson, who holds the Chair of Developmental Psychopathology at the Tavistock Clinic, has developed a long-term research programme and has published his work in Autism and the Development of Mind (1993). For some years there has been a vigorous movement to develop more awareness and sensitivity to intercultural issues in psychotherapy. Patients from ethnic groups other than White Anglo-Saxon are under-represented, both as patients and as therapists. The organization NAFSIYAT is an active pressure group to maintain this awareness and to inform on the present situation.